Ursula Lehmkuhl is an expert in international history and area studies with a special emphasis on North America. She has published widely on issues related to Canadian and American foreign policy, transatlantic relations, and Canadian and American Asian and Pacific policies. Methodologically, her work is informed by and has contributed to the discussion about the “cultural approach to diplomatic history”. In this context she has established new analytical perspectives recognizing the constructed nature of power relations on the domestic and international level. Supported by a Government of Canada research grant, she has published on Canadian efforts to come to terms with the new security challenges in the wake of the September 11th terrorist attacks, focusing on the political mediation between the domestic policy of multiculturalism and diversity, on the one hand, and the exigencies of Canadian-American security relations, on the other. As director of the Center for Area Studies at Freie Universität Berlin, she contributed to the discussion about the revitalization of Area Studies with contributions focusing on the concepts of transnationalism and transculturalism. As co-director of the Collaborative Research Center “Governance in Areas of Limited Statehood” (SFB 700), she introduced the transfer and translation approach from history and cultural studies into the social science debate about processes of cultural/political appropriation and rejection with its focus on diffusion theory, thus broadening analytical perspectives in the field of research about governance export and governance transfer. Last but not least, she is working empirically on questions of migration and transculturation in the context of a DFG financed project on German Immigrant Letters from the 19th and early 20th century and in the context of Indian-White relations (Settler Imperialism) during the first half of the 19th century in the United States and Australia. Since 2013, she has been lead spokesperson for the International Research Training Group “Diversity: Mediating Difference in Transcultural Spaces” and editor of the publication series “Diversity / Diversité / Dversität”, Waxmann Verlag. She will contribute to the IRTG an interdisciplinary expertise in the analysis of diversity combining approaches from political science, history and cultural studies. She has collaborated closely with Laurence McFalls and the Center for German and European Studies at the Université de Montréal since 2007. As co-director of the Collaborative Research Center “Governance in Areas of Limited Statehood”, Director of the Center for Area Studies and member of the Executive Board of the Graduate School of North American Studies and the International Research Training Group “History and Culture of Metropolises” she has acquired broad administrative expertise in international research collaboration and structured interdisciplinary doctoral education. 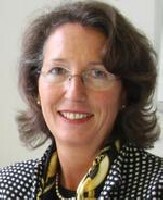 Moreover, she served as First Vice President (= Deputy President) from 2007 to 2010 and from March to June 2010 as Acting President of Freie Universität, responsible among others for the university’s internationalization strategy. In this capacity, she broadened her administrative expertise in the field of international cooperation acquired during her time as Vice President for Research and International Relations at the University of Erfurt (2000-2002). Ursula Lehmkuhl is currently supervising five doctoral researchers and four postdoctoral researchers (Habilitationen) as first supervisor. During the last five years, ten of her doctoral students have completed their dissertations successfully. Almost all of them have received positions in academia or in other fields such as science and research management immediately after the completion of their doctoral studies. Ursula Lehmkuhl will bring to the IRTG a network of collaboration in the field of North American Studies, more specifically migration history and the history of international and transnational relations. She cooperates closely with the Immigration History Research Center at the University of Minnesota, the Institute of American Studies and Polish Diaspora of Jagiellonian University Krakow, and the University of Innsbruck and Graz in the field of migration history and the history of multi-cultured societies. In addition, she maintains close relations with the German Historical Institutes in Washington D.C., London and Paris. In the field of international and transnational history, she has a long-standing working relationship with the University of Ohio, Temple University, and Harvard University. As a former member of the Martin Buber Society of Fellows, she will contribute the research network she has established in Israel, particularly at Hebrew University Jerusalem. "Immigrant Letters: Current Research Topics and Methodological Challenges", International Conference in cooperation with the German Historical Institute, Washington, D.C. Faculty Research Award, Government of Canada, research project: "Canada's Post 9/11 Homeland Security Policy: An exercise in multilevel governance, private sector involvement and civic engagement"
(ed. ): Länderbericht Kanada (Bonn: Bundeszentrale für politische Bildung). "Das Dilemma der Gleichheit", Themen Thesen Texte: Magazin des Exzellenzclusters „Kulturelle Grundlagen der Integration 05/16, 18-21. "Paradoxes of Resistance and Resilience: The Pitfalls of Métis Renaissance since the 1970s", in: Weronika Suchacka et al. (eds. ), Canadian Sites of Resistance: Solidarity - Struggle - Change (? ), Special Issue: TransCanadiana: Polish Journal of Canadian Studies 8. (co-edited with Hans-Jürgen Lüsebrink and Laurence McFalls) Spaces of Difference: Conflicts and Cohabitation (Münster: Waxmann). “Good Land – Bad Land: Ecological Knowledge and the Settling of the Old Northwest, 1755-1805”, in: Eva Bischoff (ed. ), Experiences, Actors, Spaces: Dimensions of Settler Colonialism in Transnational Perspective, Special Issue: Settler Colonial Studies 1, 1-23. (co-edited with Hans-Jürgen Lüsebrink and Laurence McFalls) Of ‘Contact Zones’ and ‘Liminal Spaces’. Mapping the Everyday Life of Cultural Translation (Münster: Waxmann). (co-edited with Eva Bischoff and Norbert Finzsch) Provincializing the United States: Colonialism, Decolonization, and (Post)Colonial Governance in Transnational Perspective (Heidelberg: Winter). "Johann Heinrich Carl – The Revolutionary: The History and Collective Memory of a German-American Family, 1852-2004", Studia Migracyjne -Przeglad Polonijny 1. “Reading Immigrant Letters and Bridging the Micro-Macro Divide”, Studia Migracyjne 40:1, 9-30. "Heirat und Migration in Auswandererbriefen – Die Bestände der Nordamerika-Briefsammlung", L'Homme – Europäische Zeitschrift für Feministische Geschichtswissenschaft 1. "Ambivalenzen der Modernisierung durch Kolonialismus", APuZ 62:44-45. "Still special? Anglo-American Relations since the End of the Cold War", in: Kai Oppermann (ed. ), British Foreign and Security Policy: Historical Legacies and Current Challenges (Augsburg: Wißner Verlag), 13-30. “Umwelt/Umweltgeschichte”, in: Wilfried Loth/Jost Dülfer (eds. ), Dimensionen Internationaler Geschichte (München: Oldenbourg), 233-250. "Auswandererbriefe als kommunikative Brücken. Wege und Formen der (Selbst-) Verständigung in transatlantischen Netzwerken", Zeitschrift für Mitteldeutsche Familiengeschichte 52:2, 65-84. (co-edited with Stefan Rinke) Amerika – Amerikas. Zur Geschichte eines Namens von 1507 bis zur Gegenwart (Stuttgart: Hans-Dieter Heinz). (co-edited with Thomas Risse) Regieren ohne Staat? Governance in Räumen begrenzter Staatlichkeit (Baden-Baden: Nomos). (co-edited with Hermann Wellenreuther) Historians and Nature: Comparative Approaches to Environmental History (Oxford: Berg Publisher). (co-edited with Norbert Finzsch) Atlantic Communication: The Media in American and German History from the Seventeenth to the Twentieth Century (Oxford: Berg Publisher). "Großbritannien zwischen Empire und Europa. Geopolitische Spannungen und wirtschaftspolitische Ambivalenzen in der unmittelbaren Nachkriegszeit", bpb Dossier: Der Brexit und die britische Sonderrolle in der EU, 10.6.2016 [http://www.bpb.de/internationales/europa/brexit/229081/zwischen-empire-und-europa]. (co-authored with Hans-Jürgen Lüsebrink and Laurence McFalls) "The International Research Training Group “Diversity: Mediating Difference in Transcultural Spaces”: Research Agenda and Research Objectives", in: Ursula Lehmkuhl et al. (eds. ), Of ‚Contact Zones‘ and ‚Liminal Spaces‘. Mapping the Everyday Life of Cultural Translation (Münster: Waxmann), 127-132. (co-authored with Hans-Jürgen Lüsebrink and Laurence McFalls) "An Introduction", in: Ursula Lehmkuhl et al. (eds. ), Of ‚Contact Zones‘ and ‚Liminal Spaces‘. Mapping the Everyday Life of Cultural Translation (Münster: Waxmann), 7-28. "Acadia: A History of Cultural Encounter and Cultural Transfer", in: Ursula Mathis-Moser/Günter Bischof (eds. ), Acadians and Cajuns. The Politics and Culture of French Minorities in North America (Innsbruck: Innsbruck University Press), 39-54. "Regieren im kolonialen Amerika: Colonial Governance und koloniale Gouvernementalité in französischen und englischen Siedlungskolonien", in: Ursula Lehmkuhl/Thomas Risse (eds. ), Regieren ohne Staat? Governance in Räumen begrenzter Staatlichkeit (Baden-Baden: Nomos), 111-133.